Which brings us to today’s post. I was recently introduced to Taza’s organic dark Mexican style chocolate discs and a single piece was not enough this time. The rich, crunchy chocolate has started to become my dessert ritual and I figured it was time I made a cocktail to pair alongside it. So what might become a semi-regular thing around these parts, I’ve decided to create some cocktail and food bite pairings that shouldn’t break the bank. But, at the same time, seem pretty decadent, well thought out, and most importantly DELICIOUS. First up is dessert (which is the way it should be). It’s summer. It’s hot. You don’t want a cocktail or dessert to weigh you (and anyone you happen to be entertaining) down. This cocktail plays it light with an unexpected main ingredient, Bauchant. I first tasted Bauchant at the WSWA this year and was all goggle-eyed at how delicious this was just on its own. But what is it you ask? Bauchant is an orange liqueur with a cognac base that uses 3 different orange varieties: Andalusian, Mandarin, and Tangerine. It’s complex and lovely and on its own quite sippable, but on the heavier side. I combined it with a splash of gin, another splash of freshly squeezed lemon juice, and a heavy glug of club soda to transform it into a refreshing long drink that’s not too sweet and super flavorful. The sweetness of the Bauchant gets a nice contrast of tart from the lemon, with a few juniper notes from the gin, and mellows out with the club soda. Delicious. And the pairing for this sipper? Taza’s Coffee Chocolate Mexicano Discs. Their Classic collection has a lot to choose from: Cinnamon, Vanilla, Guajillo Chili, Salted Almond, Cacao Puro, and Coffee. The coffee won me over for this pairing though. The dark, roasted coffee and chocolate flavors contrasted with the sharp effervescent cocktail are a perfect pair. Are you hungry yet? Let’s get mixing! In a highball glass (or if you have it, Delmonico style chimney glass which is around 5-8 ounces), fill with crushed ice. 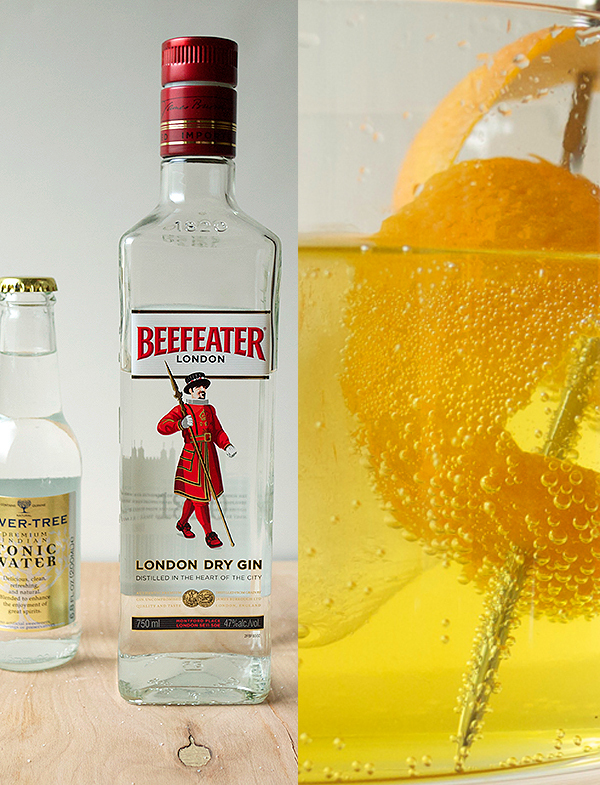 Build the cocktail by adding in the Bauchant liqueur, Beefeater London Dry gin, and lemon juice. 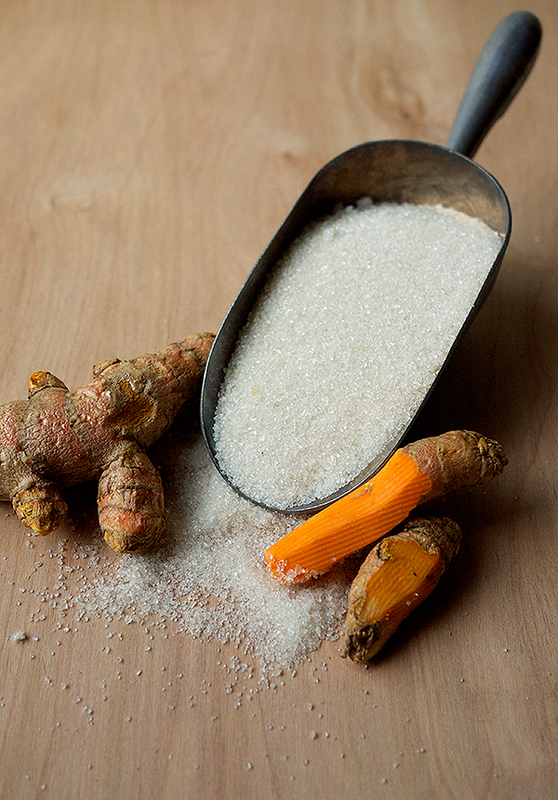 Give it a stir or two and top with club soda. Garnish with a lemon peel and break off a big piece of Taza’s Coffee Chocolate Mexicano Discs, sit back, and savor summer. *This cocktail pairing post was inspired by Taza Chocolate and Drizly, the on-demand liquor delivery company. I hope I’ve inspired you to make a drink and treat yourself. For more info on sponsored products, affiliate links, and gifted booze, please visit the About page. When I first started cocktail blogging, connecting with other like minded people was a slow process. I mean, it took several years just to meet all the bartenders just in Los Angeles. And there are new ones popping up every week. But now meeting and chatting with bartenders all over the world has just become as easy as clicking a button (and I like easy). To fill the gap, The Club 83 social network has stepped in. Want to find out what bartenders in France are up to? Or just somewhere else in the U.S.? Want to share your bar’s creations with other bartenders who will appreciate your skill and effort? You don’t need a website, just an internet connection. For their launch, The Club 83 has created a cocktail contest and yours truly is going to compete alongside all of you. For all the details on the contest, create a profile on The Club 83 and sign up to participate on the site. And just what IS the contest? The Flavour Vibes contest pairs your favorite song with a new cocktail of your creation. The winner will win a sampler pack of tasting syrups from the famed flavoring creator Maison Routin and their 1883 brand of syrups. Not your run of the mill flavors with such cool syrups as red bell pepper and orchid. Orchid!! This week, with the sad news of David Bowie’s passing, I’ve been running through his back catalog and the song I always turn to when I need some cheering up is Hang On to Yourself. It’s got pep, it’s got rock and roll, and a touch of glam, ingredients for a good song, and a good drink. This cocktail uses gin as the base (we are referencing a British song!) with peppy ginger and zingy Yuzu lemon syrups. To give the cocktail some depth and intrigue, some roasted cumin is added alongside a touch of lemon ginger bitters. It’s a glamorous cocktail with a slightly hard edge. In a mixing glass 2/3 filled with ice, add gin, yuzu syrup, ginger syrup, lemon juice and cumin. Stir for 30 seconds and then strain into a chilled cocktail glass. Add dashes of bitters on top of cocktail and express oil from a strip of lemon zest. Garnish glass with spent zest. So join me at The Club 83 and see what bartenders like yourself are up to, all around the world! And to participate in the Flavour Vibes Contest, go here, cheers! For some time now I’ve had a “warming cocktail with turmeric” sitting in my to-make queue. Summer clearly was not the time to bust that out. Now that it’s turned a tad cooler out, I figured I should quickly get my act together and make this, especially before I found winter had sped by and it was too late to make it again (story of my life). Inspiration came from an unlikely place this time in the form of online dating. Yes, if you’ve been a loyal (or even semi-loyal) reader on here you know I am attached, so I wasn’t out looking, but Match.com came looking for me! In collaboration with the site, they asked me to come up with a London-inspired cocktail. Something that you’d want to order on your first date. You know, the date where you’re trying to impress the other person with your knowledge of fine spirits and interesting ingredients…. that “showing off” I try to impress all of you readers with every week. What was my inspiration behind this cocktail? Tony Conigliaro, whose imaginative cocktails are inspiring to myself and many others way across the pond, and curry. No, seriously, curry too. When I think of the flavors of London, I immediately go to the fragrant and spicy dishes found everywhere in town. An amalgam of cultures, London lets you cherry pick the best flavors found all over the planet. But for today, my mind went to curry. Or, more specifically, the turmeric found in curry. 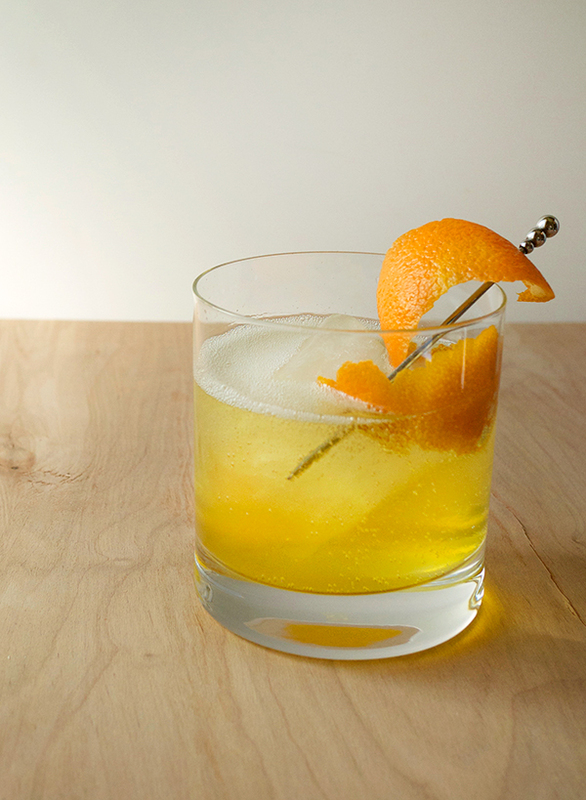 Turmeric’s bright yellow color not only provides a beautiful color for the cocktail, but its peppery flavor profile gives it a nice earthy, warm kick too. Oh, and if you’re looking for some banter, it also has numerous health benefits, lots of which you can wiki when you have a moment (just not during your date please). And there I got my warming cocktail, with turmeric. A couple dashes of lapsang souchong tea tincture gave the drink not only some heft, but an unexpected smoky flavor coming from such a brightly colored cocktail. Rounding out the ingredients, orange flower was added as a finishing touch calling out some of the Middle Eastern influence also found around town. Orange was used instead of lime for the much needed citrus element for this take on a Gin and Tonic. 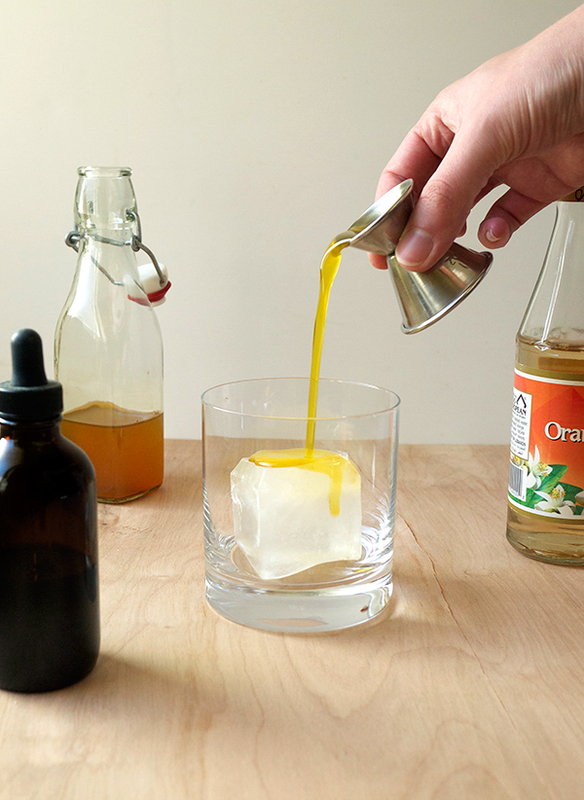 Build the drink by adding a large ice cube to a double rocks glass. Pour in syrup and then add drops of tincture. Pour in gin, top with tonic and then spray orange flower water over glass. Garnish with an orange twist. Combine all ingredients in a medium sauce pan over medium-high heat. Bring to a simmer, covered, for 15 minutes. Remove from heat and let stand for 2 hours. Strain into an airtight container. Store for up to one month. Strong orange oil on the nose and the hint of quinine. The first sip is both sweet and immediately hits you with savory from the tea tincture; it’s an unexpected twist. Next layer of flavors you get are more earthy from the turmeric syrup which balances the sweetness of the syrup and tonic against the strong, smoky lapsang suchong. In the end there is still a crisp bite from the gin that reminds you, at its core, it’s just a tarted up Gin & Tonic. This post is in collaboration with Match.com. For more information on their city guides, please visit them here!